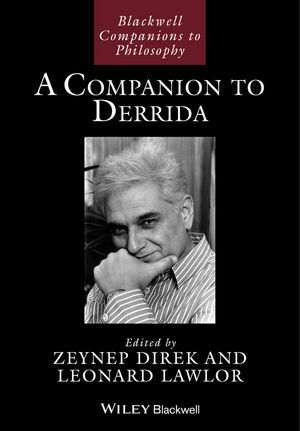 A Companion to Derrida is the most comprehensive single volume reference work on the thought of Jacques Derrida. Leading scholars present a summary of his most important accomplishments across a broad range of subjects, and offer new assessments of these achievements. Zeynep Direk teaches contemporary philosophy and ethics at Koç University, Istanbul. She has written numerous essays in Contemporary European philosophy and edited 10 books in Turkish on Levinas, Derrida, Merleau-Ponty, and Sartre, in addition to editing collections of essays and journal issues on gender and race theory. Leonard Lawlor is Edwin Erle Sparks Professor of Philosophy at Penn State University, USA. He is the author of several books including: Early Twentieth-Century Continental Philosophy (2011) and This is not Sufficient: An Essay on Animality and Human Nature in Derrida (2007). He is one of the co-editors and co-founders of the journal Chiasmi International: Trilingual Studies Concerning the Thought of Merleau-Ponty.